Or need an Easter devotional? Scroll down and sign up below for this FREE Bible verse list for the 40 days leading up to Easter plus a pretty journaling page! Simplify your Bible study & prayer time. Learn more in only 10-30 minutes a day. Find joy hiding God's Word in your heart. Over 100 Christian journals to choose from! Whether for Bible study, prayer time, taking sermon notes, or memorizing scripture verses, we have a journal for you. With over 100 Christian education journals to choose from, we have a fun & easy way to hide God's Word in your heart daily for everyone - moms, dads, kids, Sunday school classes, homeschoolers, and more. We offer a totally free library of Christian education printables too. Register now to join! Perfect for studying God's Word with your morning or evening cup of coffee or tea! 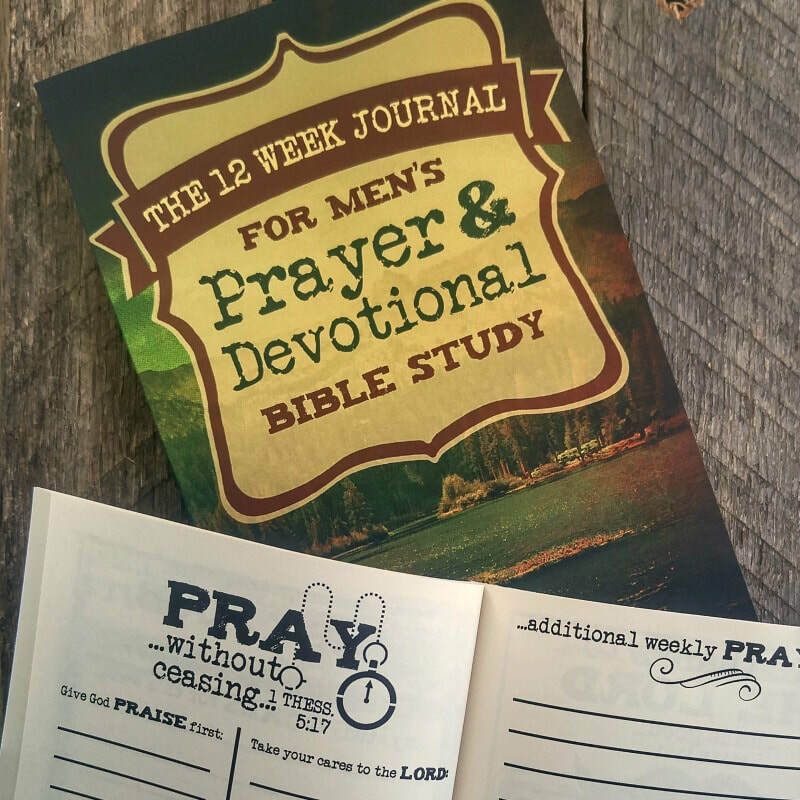 The equivalent of our women's devo journal, but just for men - makes a great guy gift. The 12 Week Journal for Memorizing Bible Verses is fun for all ages to learn scripture. Easy to carry along for all your Bible notes. Available in a prayer journal version too! A superb all-in-one women's devo journal for individual study or Bible class notes. An ideal study journal for digging deeper into the people, culture, & history the Bible.